In episode 187 I’m joined by professor Stuart Biddle, a researcher studying the effects of physical activity and it’s effect on health. He shares a bit about his journey, what physical activity is, current obstacles to incorporate more of it, and the benefits. This week on MCF! 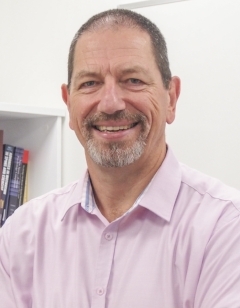 Dr Stuart Biddle is Professor of Physical Activity and Health and leader of Physically Active Lifestyles Research Group – in the Institute for Resilient Regions at the University of Southern Queensland, Springfield, Australia. He was Professor at Victoria University, Melbourne, 2014-2017, and at Loughborough University in the UK until 2014. Stuart’s research is on sedentary behavior and physical activity behavior change, as well as mental health. He is past president of the International Society for Behavioral Nutrition and Physical Activity (ISBNPA). He has published extensively in psychology, public health, and behavioral medicine. He has been involved in the production of national physical activity and sedentary behavior guidelines, and has been a consultant to Weight Watchers and Fitness First. His co-authored textbook, ‘Psychology of Physical Activity’ (Routledge), is in its 3rd edition.